Orders of undamaged goods can be cancelled at any time within 14 days of delivery by speaking to us directly and then notifying us in writing or by e-mail. It will be your responsibility to keep proof of effective cancellation. 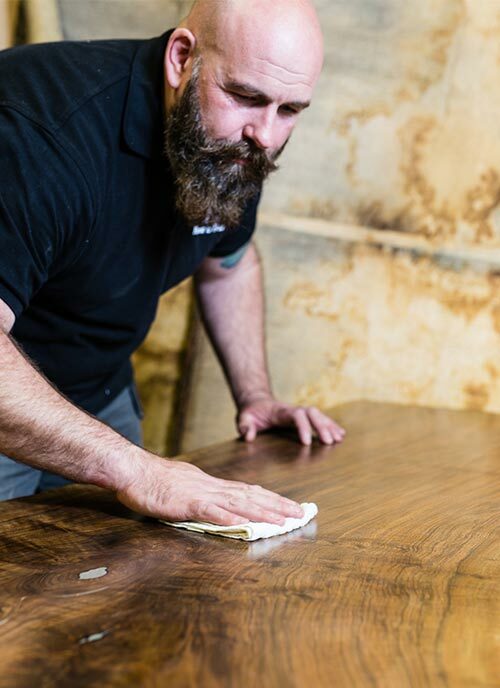 We take great pride in ensuring that all furniture that leaves our workshop is completed to the highest possible standard. However, in the rare incident that a fault has occurred please do not hesitate to contact us and we will do our utmost to resolve the issue as quickly as possible. We will conduct an inspection of your furniture once your order has been delivered to its destination to ensure we are happy your furniture has reached you in a perfect condition. It is important that you also conduct an inspection upon completion of delivery, you legally have a reasonable amount of time to do so however, we request that you notify us immediately of any concerns. Please Let us know within 14 days of delivery should you wish to return an undamaged order. Items can be returned during this period providing they are in the same condition as sold and delivered. Please note return delivery costs will be the responsibility of the consumer. Return pick up can only be arranged by us at Forest to Home. This is due to the specialist nature of the furniture. This allows us to ensure that it is properly cared for during transit. We may not accept returns by any other means. Annual maintenance is recommended to ensure your furniture retains its beauty and stands the tests of time. Due to the natural nature of our materials we use, you should expect it to exhibit some sign of movement during its lifetime. For this reason, each order is supplied with an aftercare advice leaflet. For larger pieces, we can maintain the piece on an annual basis* if you wish to have the peace of mind of knowing that it is being maintained by the same company that produced it. Depending on the finish and intensity of use, your furniture should require no more than annual maintenance. *please enquire as to our annual maintenance costs.